Airflow Containment pays for itself, and in a very short amount of time. The cost savings associated with the reduction in energy consumption from containment solutions leads to a typical payback period of less than three years with WindChill containment. 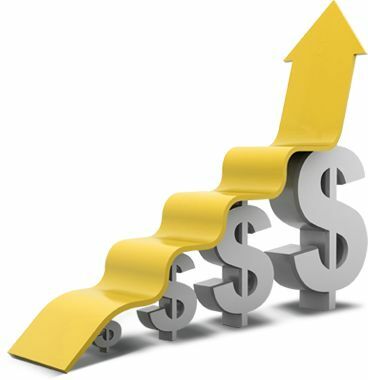 Everything beyond this is a net increase to your bottom line! Cooling systems operate most efficiently when supplied with the warmest air in the room. 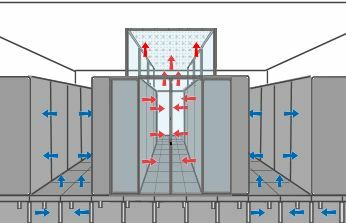 Containment channels airflow and prevents cold air from mixing with the return air. This enables higher set points and lower overall energy costs. 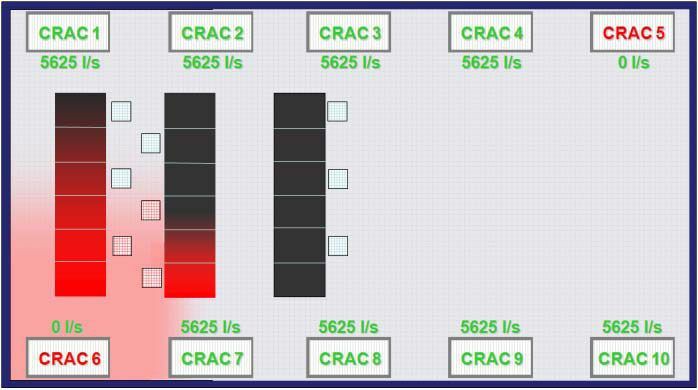 According to ASHRAE guidelines, servers run optimally between 64 and 81 degrees. Air moves in all directions. The hot air output from servers is less dense than the cold air supplied by the cooling units. As the air mixes, currents or thermals are created as the air temperatures attempt to normalize. These currents create to gaps in the cooling environment. Without airflow containment, a much lower temperature must be supplied to adequately cool the servers. Hot spots are created from hot air circulating to the cold aisle. 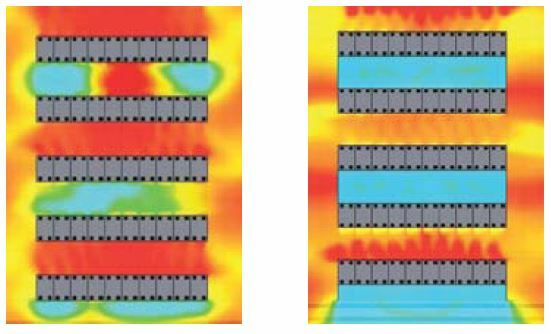 Data centers typically provide 60% more cooling than neccesary to eliminate hot spots. Containment solves this by isolating the hot and cold air. With containment, the infrastructure can be designed much closer to the actual cooling requirements of the hardware, reducing fan speeds and often eliminating the need for one or more CRAC units. The mess of wires, strapping, and other obstructions can be hidden behind containment.